Markets are essential for providing people access to basic goods and services, but also for people’s livelihoods, economic development and income generating for local authorities. Chingola Municipal Council in meeting the needs of the people has built market shelters to provide a conducive environment for traders and customers to conduct business. The local authority understands that markets provide essential items or services to meet daily basic needs and help marketeers to earn an income for their livelihoods. The Council is building market shelters in the district to accommodate traders including those trading alone the road and most of them are at completion stage. Chingola Town Clerk Kayombo Mutakela said most of the market shelters have reached advanced stages like Mpompopo, Kabuta which are at 100%, Maiteneke at 55% SNDP at 60%, Chilemba 60% and Kabundi East at 34%. Meanwhile, construction of other markets ( Ncahanga Constituency) i.e Gilbson Chifwembe, Maiteneke, SNDP – mikilon and also malemba and Makungu ( chingola Constituency ) are slated to begin this year. Mr Mutakela said CMC want marketeers to trade in a safe and clean environment. He said the market shelters would enhance trading between the traders and customers. 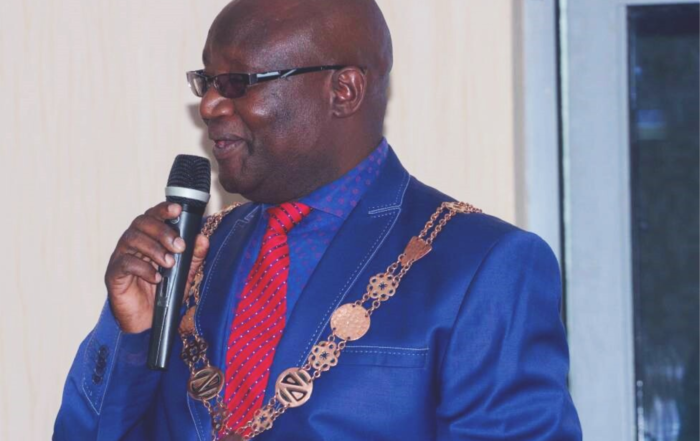 “We are also expanding some shelters to accommodate more in the case for Chilemba market which had a capacity of 350 stands and we are expanding it to accommodate up to 600 marketeers,” he said. Mr Mutakela said the expansion of these markets would also put pressure on, small scale farmers who are suppling vegetables to keep up, with the requirements and the ability to provide high quality vegetables. This is because over 40 per cent of what we consume every day is bought from the local markets like vegetables (beans, tomato and cikanda included), dry fish, onion, soda, among others. He said production of vegetables is more profitable, so the marketeers are not the only ones who stands to benefits but a famer also would be forced to produce more for the high demand. Mr Mutakela said competition among farmers will be higher thereby making supply chain reliable. The shelters would also enable traders to trade in a clean environment which would prevent disease out breaks in the market. “We are also looking into the issue of sanitation. We are not just building these shelters but also planning on empowering the marketeers with some fund to help them boost their capital. The need has risen for the council to create an empowerment fund for marketeers because marketeers need access to cheaper capital than borrowing from money lenders who charge them high interest rates. “The market empowerment fund will get its revenues from budgetary allocations of the council from Constituency Development Fund (CDF) allotment and any other donation done to the fund by Non-Governmental Organisations (NGO),” he said. And the Councillors have welcomed the move by Chingola Municipal Council to create market empowerment fund. The Councillors said that it was a good gesture that the council is thinking about a poor marketeer and how she can improve her livelihood. Butungwa Ward Councillor Soko Mumba commended the move by the council especially that the economy of this district is not doing well as the mines are not helping much. Mr Mumba said the market empowerment fund will encourage the marketeers to earn a living and support families.